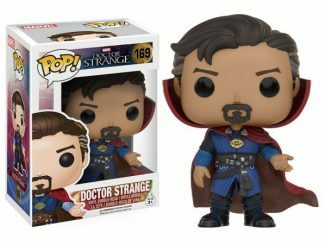 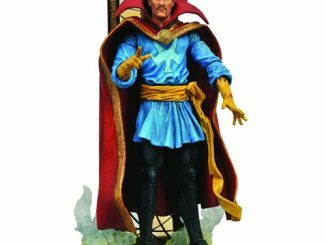 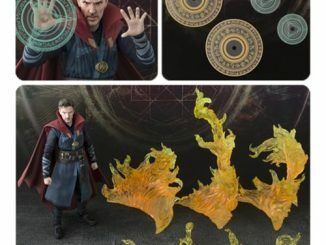 This Doctor Strange One:12 Collective Action Figure presents Dr. Stephen Strange. 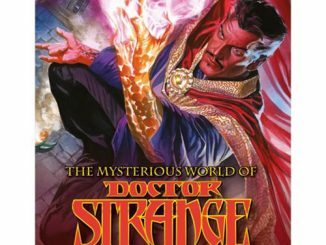 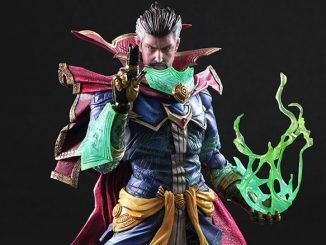 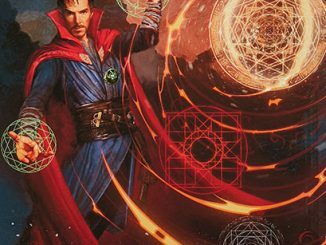 After a tragic automobile accident, he searched the world for a way to heal his badly damaged hands, eventually becoming Doctor Strange. 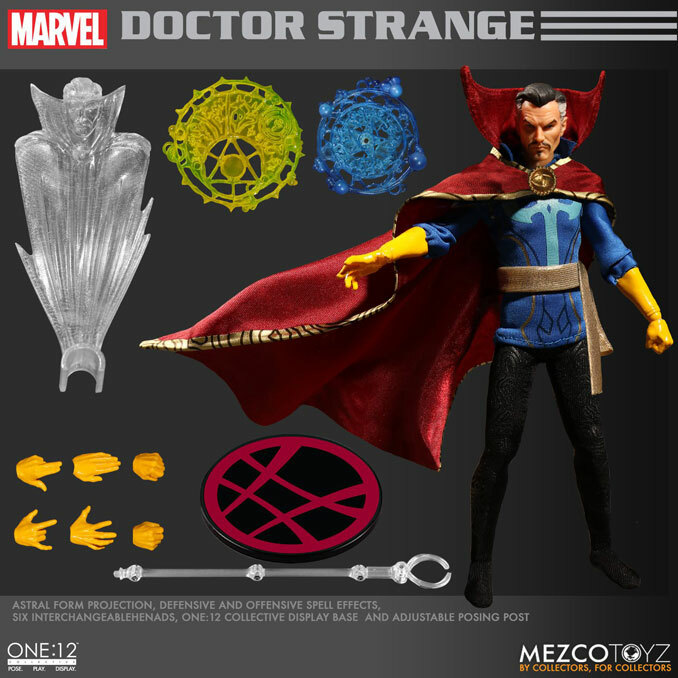 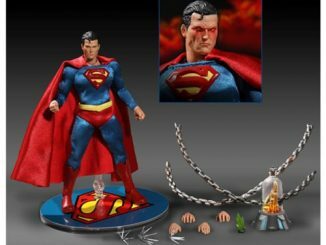 This action figure has a detailed outfit and unique character specific accessories. 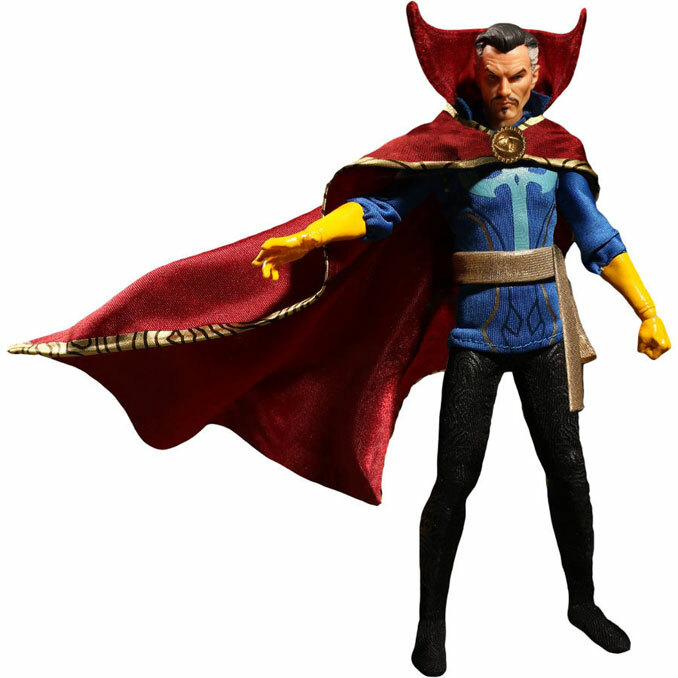 He has sculpted gloves on each hand, and even an integrated wire in his Cloak of Levitation. 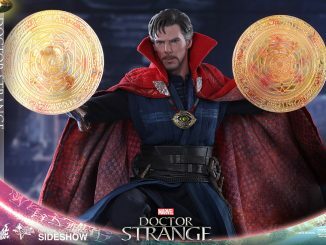 There’s also 2x Eye of Agamotto (open and close), and the intricately tailored cloth outfit is spectacular. 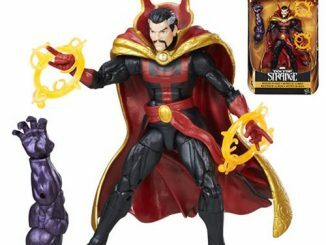 $80 from Entertainment Earth. 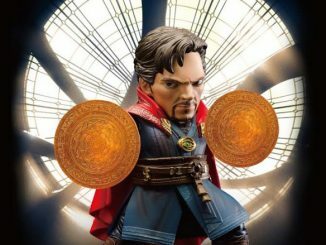 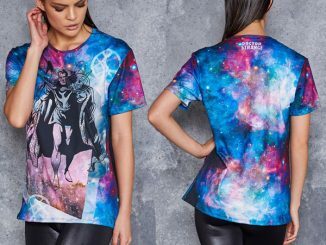 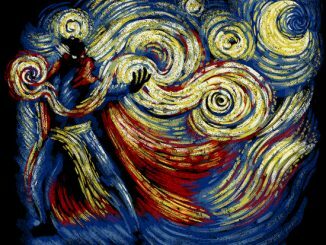 Save money on Doctor Strange by using Rout.com.